Use this mock job interview to practice for the real thing. The more you practice the better prepared and more confident you will be for your interview. We have developed a realistic and easy-to-use mock interview. Select the right person to help you conduct your mock interview. Key to a productive mock job interview is constructive feedback. The feedback guide after each section ensures the feedback you receive is relevant and helpful. We recommend you go through each section, stop and discuss the feedback before moving on to the next section. This way the feedback is immediate and you can make good use of it to improve as you proceed through the job interview. Know how to research the company before your interview. The interviewer introduces him or herself to the candidate. use the interviewer's name in greeting eg. "I am pleased to meet you, Mrs Jones"
The interviewer attempts to put the candidate at ease with some small talk such as "Did you find us easily?" or a comment about the weather. After some small talk the interviewer begins by briefly discussing the company, the department and the position itself. use the opportunity at the end of this description to demonstrate their research on the company with a relevant comment such as "I was interested to read that you are opening 3 new branches this year"
"What interests you about this position?" "Where do you see yourself in five years ?" "What has been your greatest achievement to date?" Get help with this standard part of the job interview at mock job interview questions and answers. "How have you established your work priorities in your previous job?" "Tell me about a recent time you had to solve a difficult problem in your job"
"Describe a situation where you were not satisfied with your work performance. What did you do?" "Describe a time when you contributed more than required to the team"
These will explore red flags in your resume such as gaps in employment, lay offs and dismissals. 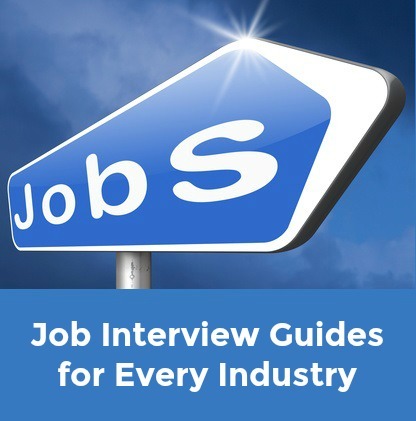 Get help with answering difficult interview questions at job interview answers to tricky questions. At this point the interviewer asks if you have any questions you want to ask. This list of the right job interview questions to ask will help you prepare for this part of the mock job interview. The interviewer thanks the candidate and indicates what the next step in the hiring process is. make a positive closing statement like "I am excited about this opportunity and believe my experience and enthusiasm will add value to your company"
Know what to say to close the job interview. Improve your chances of success with a mock job interview. Keep practicing till you feel ready and confident of acing the actual interview! Unsure of anything? Use the search box to find what you need before your job interview.